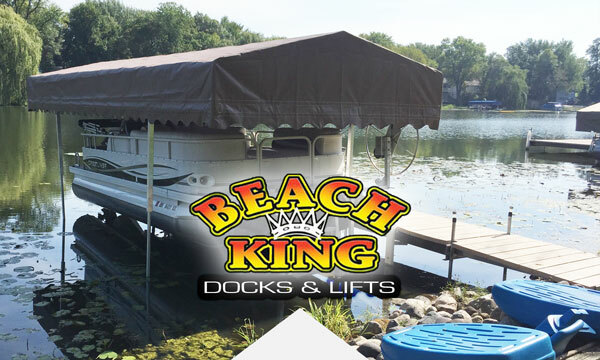 Locally owned and operated, Beach King Inc. has been building quality yet affordable Docks and Lifts since 1995 in the Detroit Lakes area. Our Quality, Affordability and Guarantee on all Beach King products speaks for itself and is proven in our growth every year. From the standard straight dock to a custom marina. 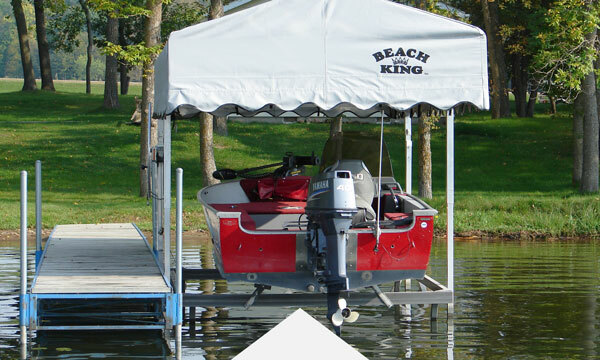 Protect your boat or Pontoon today with one of the deepest canopies on the market! 1200# – 8000# Vertical Lifts, we build what you need. Standard dock systems for you private home. Create the dock of your dreams that lasts into the memories of your loved ones. Beach King can not only create a fully customized dock that will last for years but it’s also a breeze to install and remove from your waterfront location. Check out our dock advantage today. If you are building a dock to keep your watercraft easily accessible for the duration of the summer months then there is no better way to protect your boat, pontoon, or jet ski’s than with a lift to keep the watercraft out of the water and protected from the elements. When you get a Beach King Lift there are many advantages, click here to read more. 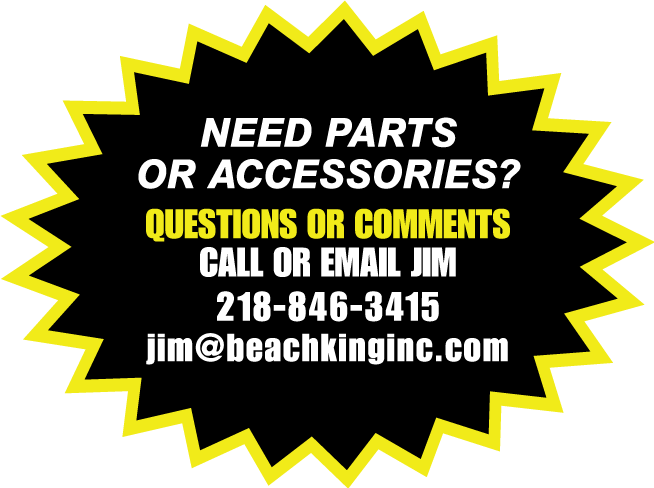 Beach King Inc. has been in the Detroit Lakes, MN area since 1995. We are experts at custom building to fit any need. 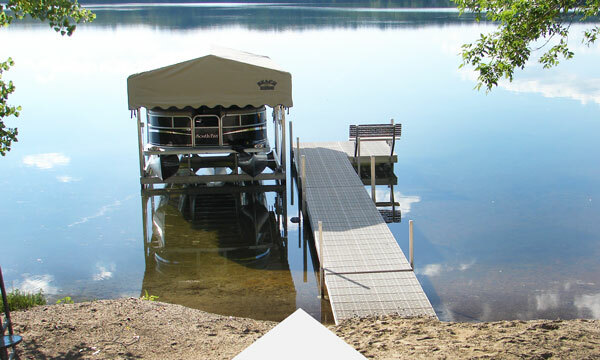 Learn about the top reasons to choose a beach king dock. Learn about the top reasons to choose a Beach King Lift.